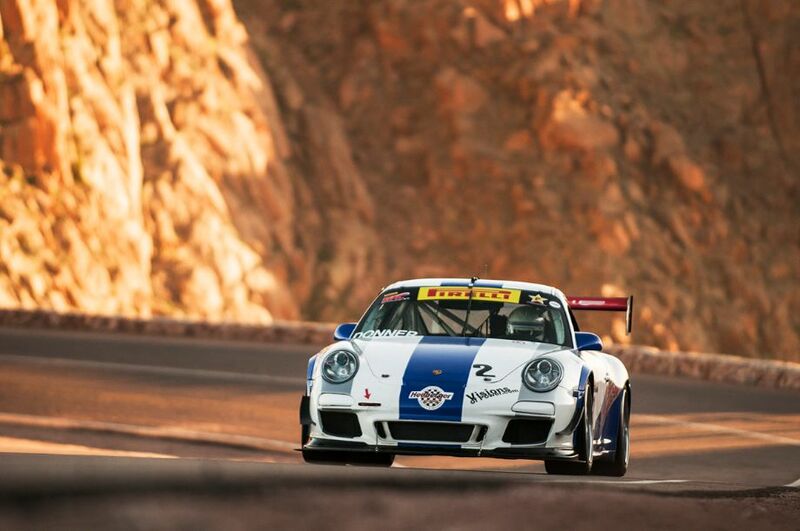 The Pikes Peak International Hill Climb 2013 was held June 24-30 at Pikes Peak Mountain in Colorado Springs, Colorado. The 91st annual “Race to the Clouds” is the second oldest motorsports race in America. 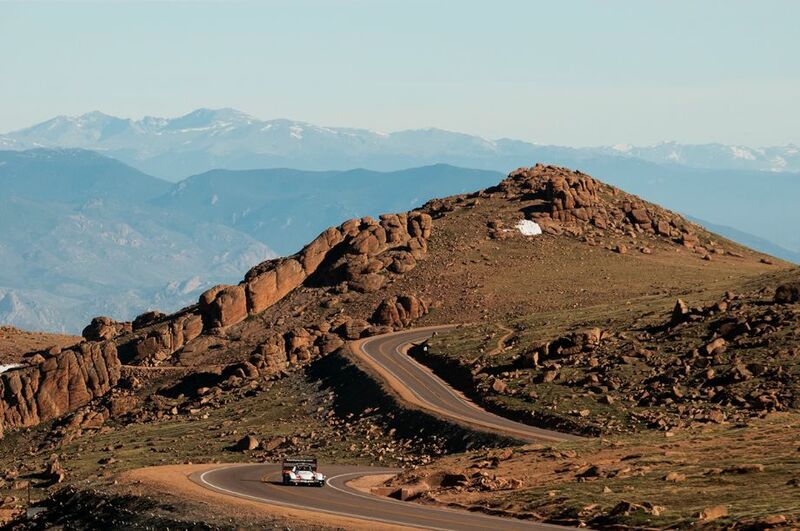 An international field of 146 competitors, 63 automobiles and 83 motorcycles challenged the 12.42 mile, fully-paved course with 156 turns that begins at 9,390 feet and ends at the 14,110-foot summit of Pikes Peak, where the air is rare. As the drivers climb toward the summit, the thin air slows reflexes, saps muscle strength and robs engines of roughly 30% of their power. The Pikes Peak Hill Climb was launched in 1916 by Spencer Penrose, the founder of the famous Broadmoor Hotel, to help publicize his home town of Colorado Springs and the new highway he had constructed to the summit of Pikes Peak. During the 90 previous editions of the hill climb, the list of champions include the greats of American motorsport – Mario Andretti, Parnelli Jones, Roger Mears, Al Unser, Al Unser, Jr., Louis Unser, Bobby Unser, Rick Mears and scores of others, including generations of racing families with names like Dallenbach, Unser, Donner and Vahsholtz. 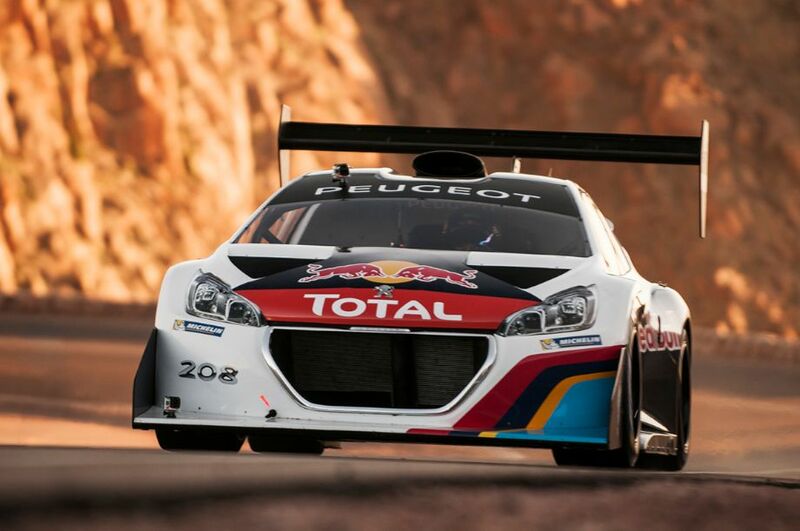 The 2013 running of the Pikes Peak International Hill Climb saw 9-time World Rally Championship winner Sebastien Loeb shatter the record with a breath-taking time of 8m13.878s in his 2013 Peugeot 208 T16 Pikes Peak. The Frenchman negotiated the 12.42 miles and 156 corners of the mountain at an average speed of 87.47 mph. 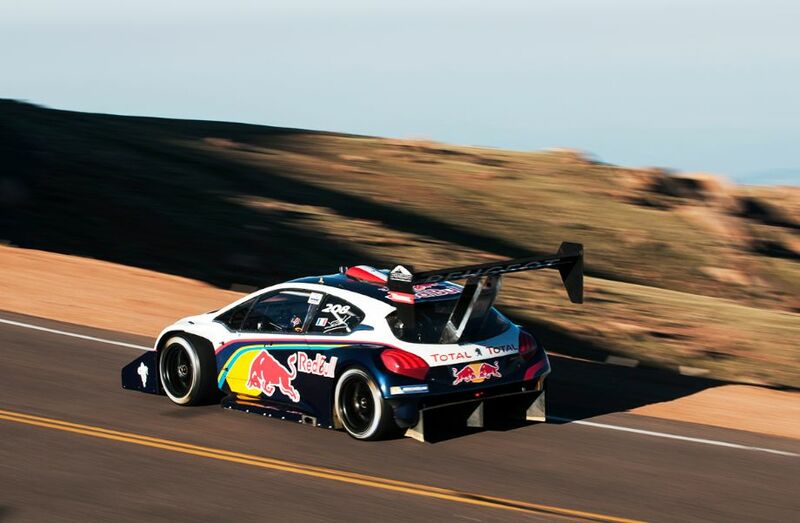 As it was, Loeb blasted his 208 T16 Pikes Peak through the clouds in a time that was even quicker than Peugeot Sport’s computer had thought was possible. The ideal theoretical time – calculated using data from Loeb’s practice runs up the Colorado mountain – was 8m15s. The nine-time world rally champion somehow managed to shave two seconds off that. The scenes of success at Peugeot were reminiscent of 1988, when former world rally champion Ari Vatanen broke the Pikes Peak record for the French manufacturer exactly 25 years ago, with the 405 T16 Pikes Peak. Back then the benchmark was 10m47.220s on gravel roads – a sign of just how rapidly technology has evolved. 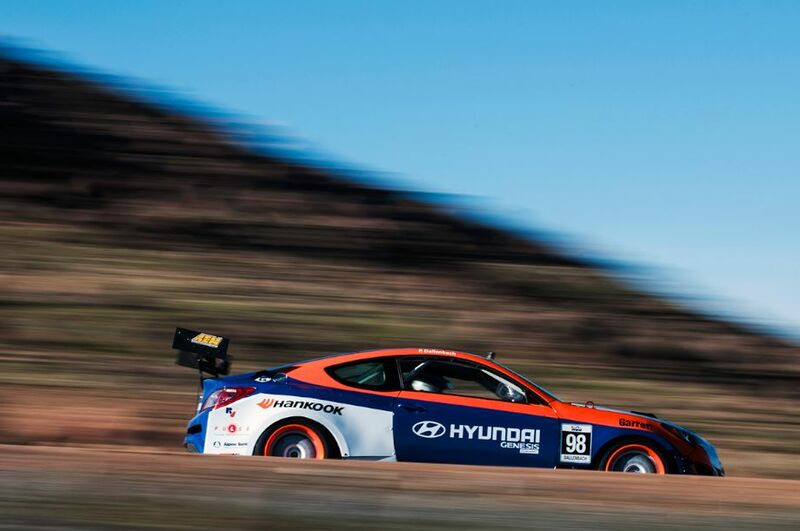 In second place on the 2013 Pikes Peak International Hill Climb was former record-holder Rhys Millen in his all-new Hyundai RMR PM580-T, 49 seconds behind Loeb with a time of 9m02.192s. Nonetheless, the New Zealander beat his own record – and he says that he’s determined to break the nine-minute barrier next year. 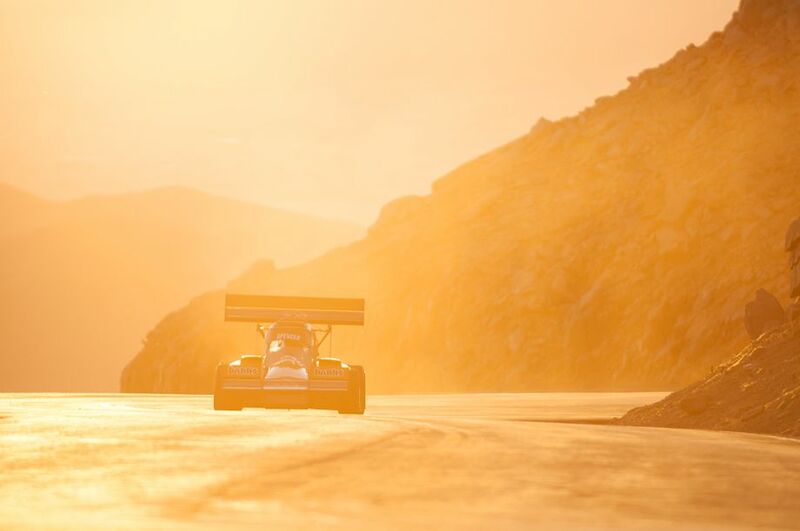 Photographer Nathan Leach-Proffer documented the 2013 running of the Pikes Peak Hill Climb with a stunning picture gallery of the entrants defying logic and sometimes treacherous conditions on the arduous climb to Pikes Peak. The 225 pictures Nathan captured were split into two galleries. The first gallery starting below features our top 100 images, all displayed in the full-width view of our website, while the complete gallery and race results can be found on the last page of the article and gives a comprehensive view of all the photographs. To see more from Nathan, visit www.speed-photos.net. Great images Nathan. 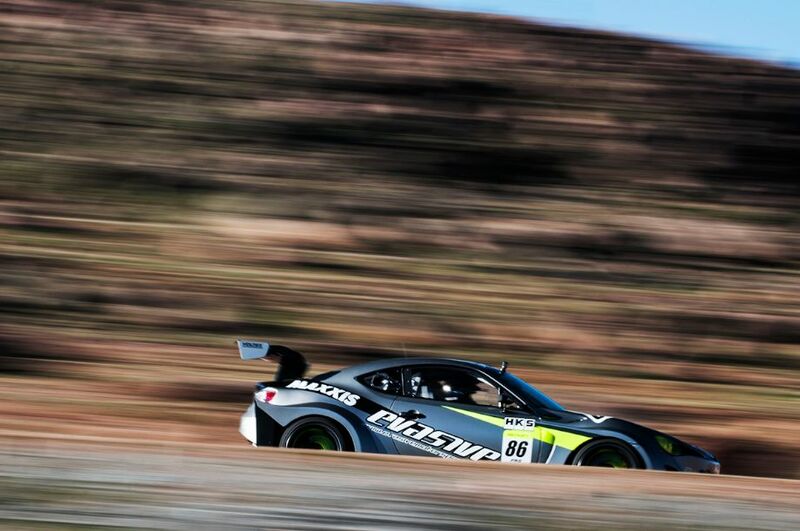 These are the best Pikes Peak images to be found. Thanks for getting them online so quickly, too. Thanks Michael! It is an awesome event and I was grateful to be there to see the records get broken then way they did. Loeb, Absolutely unbelieveable. Knocking that much time off of the record is almost beyond comprehension. How could Loeb shatter a record that never was. 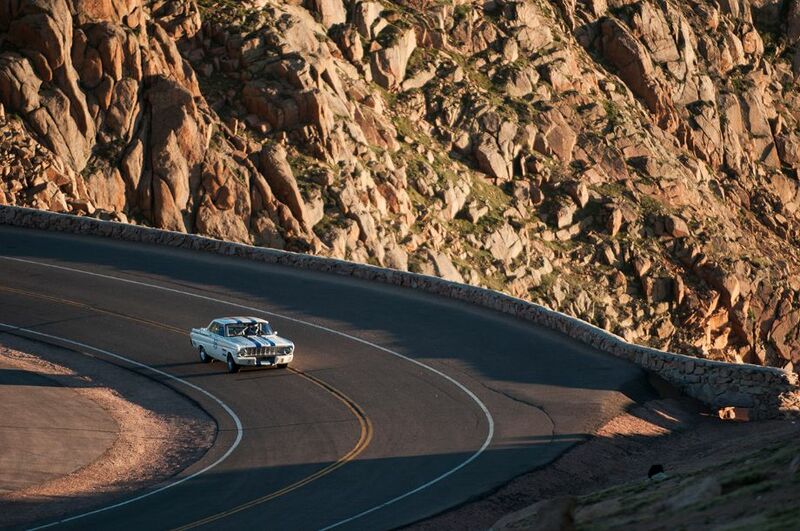 He tackled Pikes Peak on an all paved surface. He has set a new road’s record. One that he should have no trouble breaking next year. True enough. How much more was paved? It’s all paved, as of last fall. it doesn’t react as when a driver could power slide and set up for the next corner. What I asked was “how much more was paved?” In other words between the running of the event in 2012 and last weeks event, how much more of the road was paved? 1 mile, 1.3 miles, 4 miles? How much more? The final 2.5 miles was paved before the 2012 race, meaning this year’s figures can only be compared to last year. Of course, weather conditions change every 10 minutes (or so it seems), so it’s hard to really ever compare. Amazingly there were large patches of repaved surface already – watch the video. Too bad some drivers got a dose of heavy hail during their run – can’t imagine being on that road when it ices up…gulp!! I remember photographing the cars in 1955 from my close up vantage point on the inside curve at Devil’s Playground. Are spectators/photographers still allowed to be in such close proximity to the now high-speed vehicles? 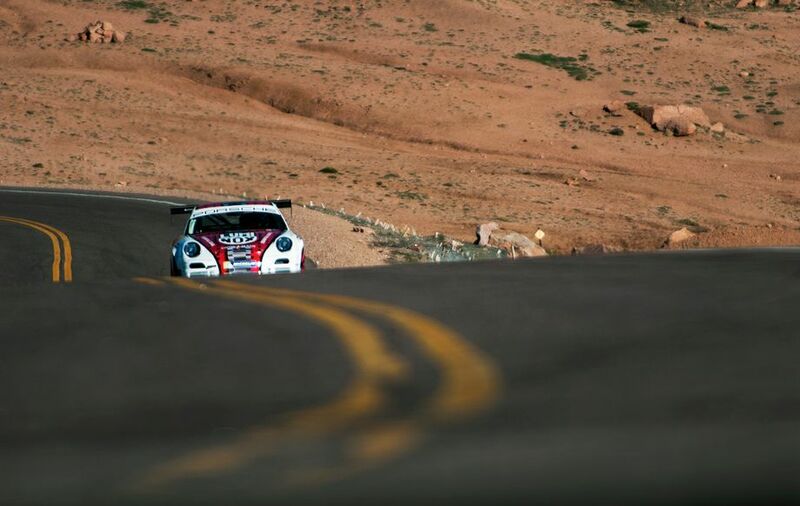 Not knocking Loeb’s achievement, but it must be nice to have sooooo much money that your team can RENT PIKES PEAK FOR A DAY in advance to practice. I wonder if they actually were able to block tourists from going up that day. Seems that if you rent the facility it is yours exclusively for the rental period – like a racetrack rental. For tourists it would be like the park was closed for the Annual Hillclimb or for weather-related safety reasons, just like many National Parks are closed for weather or fires, etc. Hello, I’m Jean Philippe Dayraut’s assistant and i would like his pictures in High Quality please. May it possible to have them ? Good for him, but the Hill climb is not the same as on dirt. Also, it is an all fwd foreign car race anymore. I remember it back when you had all types of cars both v8 and less. the records now are for asphalt, so how can you say shattered all records. It is just not the same. I spent the day on the mountain in 1986 and photographed Bobby Unser from the OUTSIDE of the right-hander at Devil’s Playground. I returned in 1988 and shot both Peugeots (Ari Vatanen and Juha Kankkunen) from exactly the same spot. No one wanted the angle, I had it all to myself. Yes, they allow it. Watching these drivers made me a World Rally fan. I was there this morning, the sunrise was spectacular! I wanted to meet Sebastien Loeb (which I did!) but did not want to be stuck on the mountain all day. I knew he would win but did not expect such a blowout although it did not surprise me. Loeb had dominated rally for 11 years and broke every record possible (and still holds them). No one can touch him, fully paved, all gravel and mixed. Its 2015 and his Pike’s Peak record holds! BTW, great shots, Nathan!